The music video “Dust My Shoulders Off” starts out at the Art Institute of Chicago where Chinese singer Jane Zhang, here portraying the role of an office lady, receives a reproachful call from her boss. Suddenly, she enters a world made of famous paintings, the start of a fantastic adventure. Through a fictitious door, she enters the scene of the famous painting “Nighthawks” by Edward Hopper, which comes alive and turns into a self-portrait of van Gogh with his ear bitten off by Mike Tyson. A total of 12 world-famous classic paintings are brought to life through smooth transitions in this video. 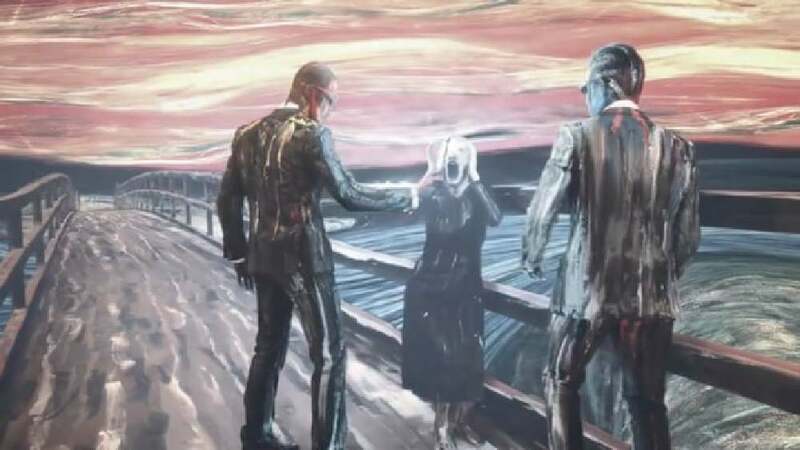 Another example is the painting “The Scream” by Edvard Munch, where the two men in black on the bridge are actually MIB and the woman screams because she realises the giant monsters from “The Temptation of St. Anthony” by Salvador Dalí. The Chinese singer adopts various roles including that of Vermeer’s “Girl with a Pearl Earring” who suddenly starts to sing and dance. In a highly artistic and innovative manner, the video merges traditional aesthetics and the contemporary style of computer graphics into a consistent storyline. Young, modern and smart – these are the most striking characteristics of this surprising and ambitious music video. The way in which it adopts famous classic paintings and incorporates them into today’s pop culture, in a literally sense, to make them become part of the story is not only extremely professional and elaborately implemented, but also highly entertaining.